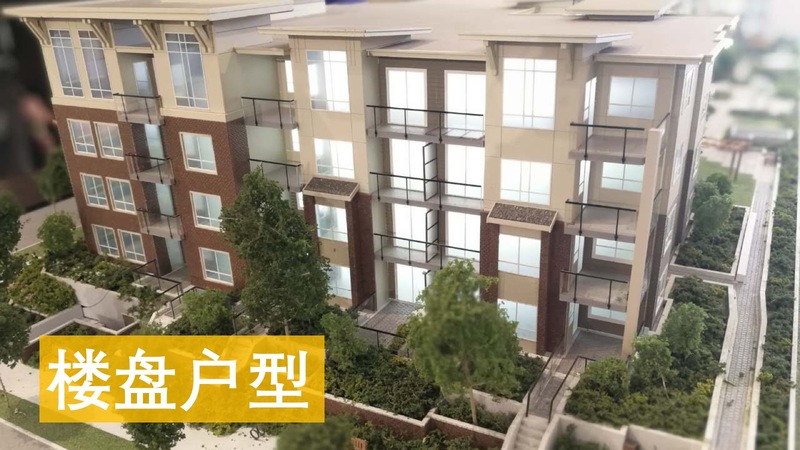 Marketing a first-time condo development to the Chinese community. 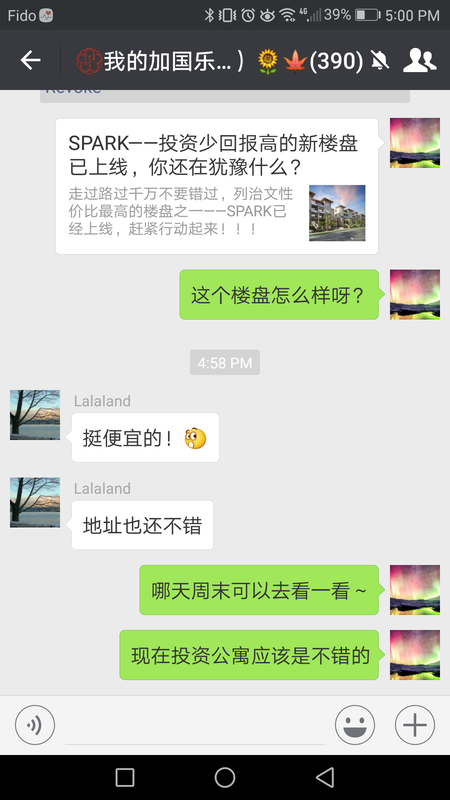 We created a strong brand presence for the Spark development in the Chinese community using WeChat Official Account. 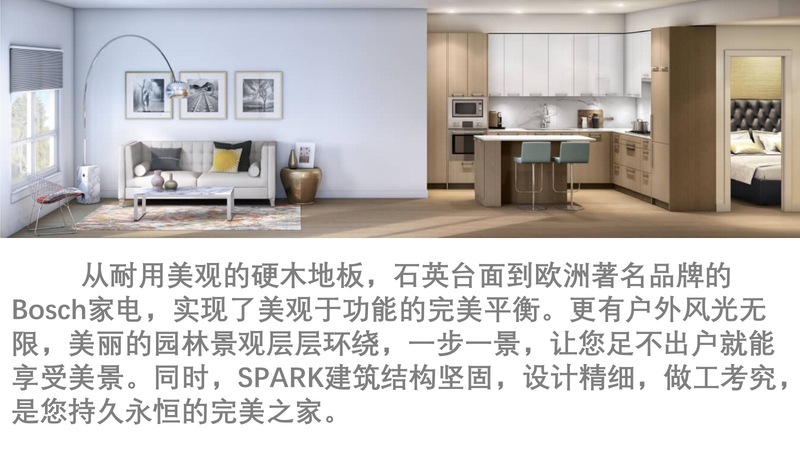 We translated and localized all Spark’s content into Chinese and created a brand theme matching Spark’s own marketing material to ensure a unified feel. 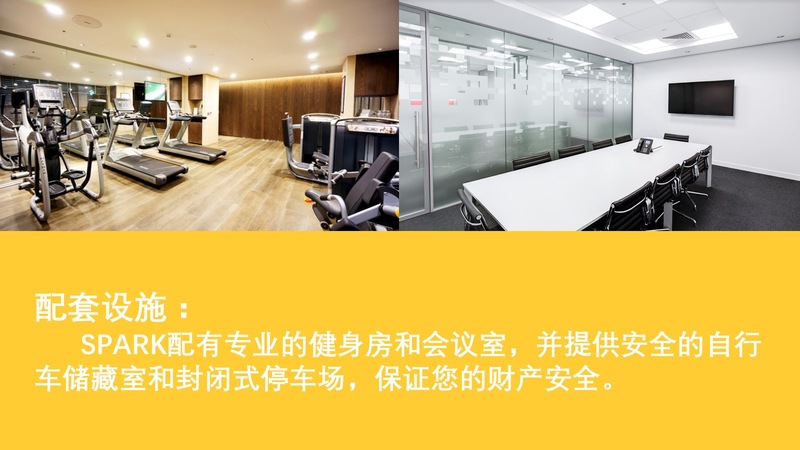 Using existing sales material provided to us, we created a matching presentation emphasizing the uniqueness and value the SPARK development has to offer. 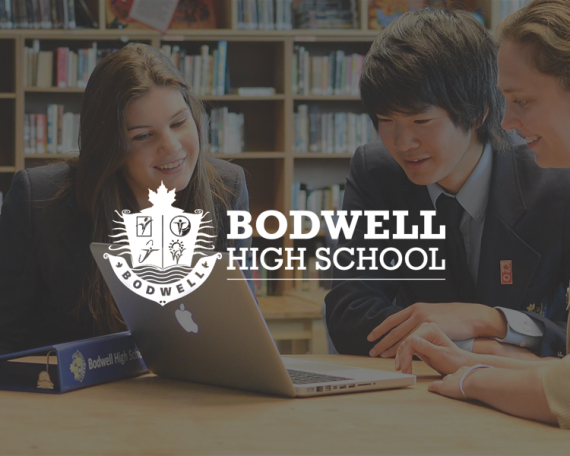 We also worked on a schedule matching SPARK’s English social content to make sure the message stays consistent across different cultures and ethnic groups. The written content is written carefully to appeal to the right target audience and to encourage sharing. 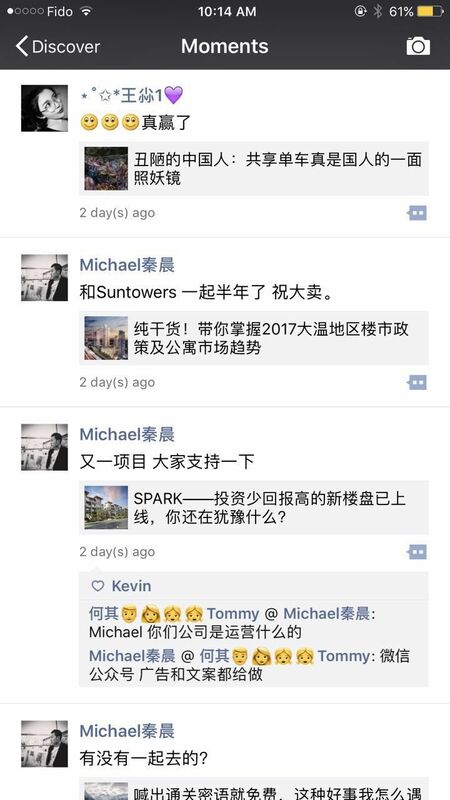 Next step was to market SPARK’s content. 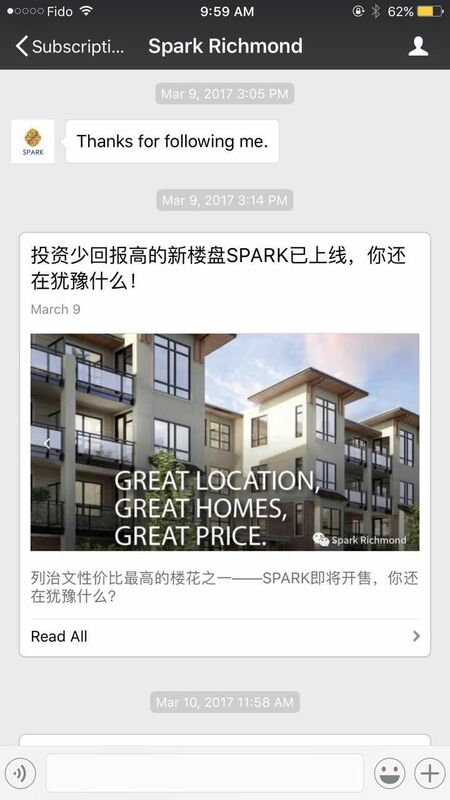 We market SPARK’s content by getting involved in real estate related community discussions, sharing the content via industry opinion leaders, and taking advantage of local high impact profiles on WeChat. 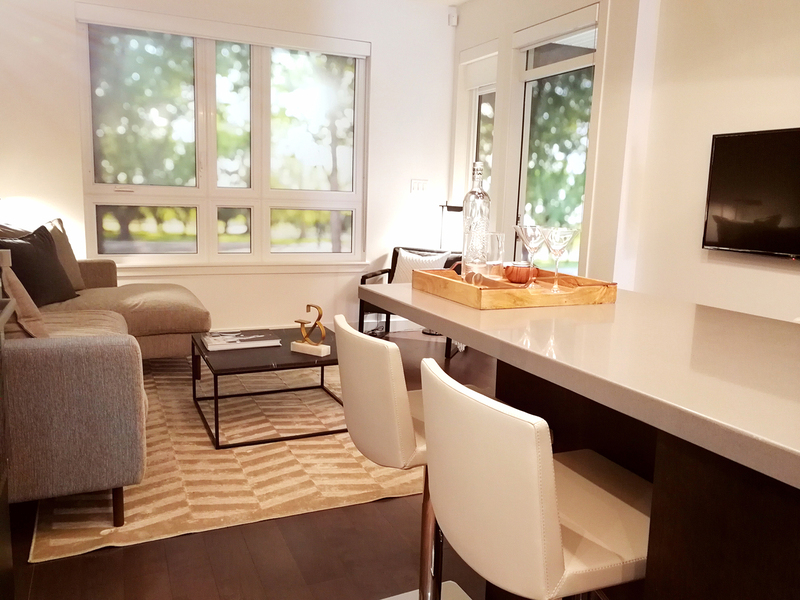 We made SPARK the center of attention in many real estate communities and actively engaged with agents and potential customers in conversations that lead to even greater levels of awareness. 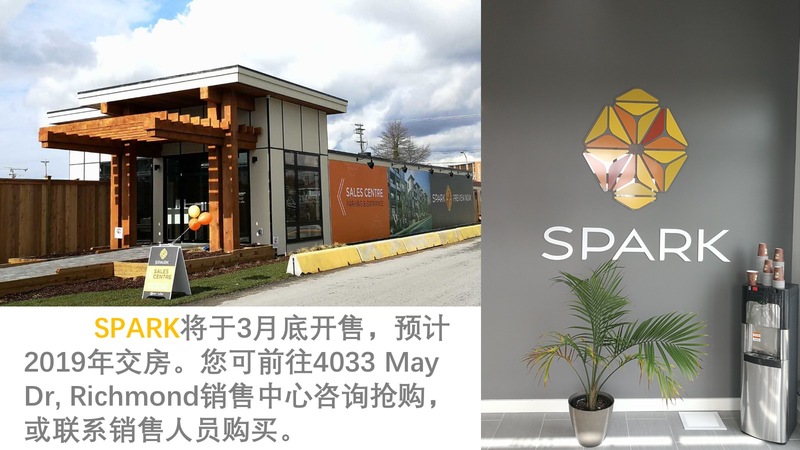 As a result, the SPARK development was sold out in record time.